Jonas Sultan of the Philippines to face the current vacant IBF Inter-Continental super flyweight champion Makazole Tete of South Africa on December 16, 2016 at Orient Theatre, East London, Eastern Cape, South Africa. Jonas Sultan is a 24 years old boxer from Tampilisan, Zamboanga del Norte, Philippines. He is the current Philippines Games & Amusement Board (GAB) super flyweight champion. Sultan has a record consisting of 11 wins including 7 victories by way of KO and has only 3 defeats. He defeated Tatsuya Ikemizu of Japan last March 2016 via TKO and also defeated Romel Oliveros in his last fight via stunning 5th round TKO. Sultan lost to Go Onaga last year in Japan. Meanwhile, his opponent Makazole Tete is a hard-hitting South African boxer, currently ranked no. 20 in the world in the super flyweight division. Tete has an impressive record consisting of 15W(11KO)-1L. 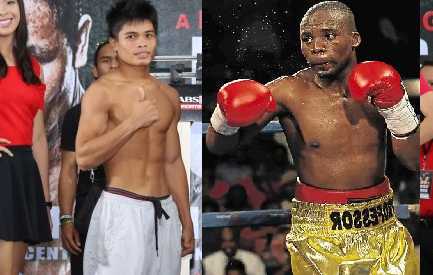 Tete defeated some Filipino fighters including Renz Rosia via UD and Raymond Tabugon TKO in his last fight. Makazole Tete only lost to Gideon Buthelezi for the vacant International Boxing Organization World super flyweight title via Unanimous Decision.